Here’s Silver Crescent- my first doll of the year and this is after I said I wouldn’t get any more Sekiguchi momokos. Best laid plans. I saw her out of box pictures and she had rave reviews from all who owned her so I decided since I let some other dolls go, I had room for her. She really is much more beautiful in person. She’s very glamorous and I think one of the best Sekiguchi releases in a while. And right now she’s providing some good therapy for a stressful week of MIA packages. I’m hoping it’s just some holiday season fall out and the packages reach their destination. I’ve been busy with several projects. 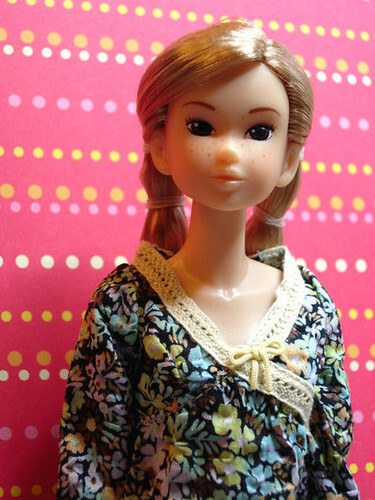 Here’s the latest custom Momoko request. Rou Rou Momoko wanted a sister and the customer had me vary the look using blonde hair and two tails instead of one. This was previously Day off Delight Momoko who has a very similar face to Rou Rou. I added the freckles to complete the likeness. She’s pretty cute. Very sweet and innocent looking. Maybe Rou Rou’s younger sister? 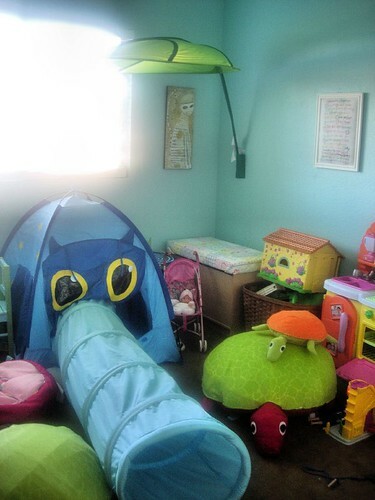 Also was busy making a playroom for the living dollies. The tent can come out and a the inflatable guest bed can go in it’s place for when grandma visits. See grandma, we haven’t forgot about you. The little table can double as a night stand with a reading lamp. They’re making good use of the room so far and hopefully we can set up clickstart on the spare little t.v. in there.